The generation of steam is a lifeblood operation to many commercial and industrial operations around the world. The large scale of its use can make steam generation one of the largest energy consumption activities for an industrial plant or commercial building. 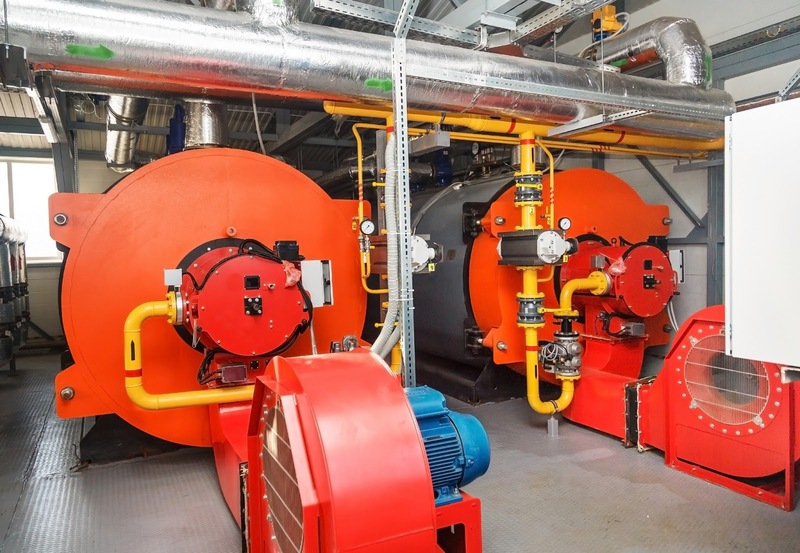 The size and complexity of steam systems, with generation, condensate handling, heat recovery, and feedwater treatment, provides a number of areas where inefficiencies can cost very substantial sums of money. Conversely, enhancing efficiency toward a maximum attainable level will yield very large savings in operating costs. Magnetrol International, a globally recognized leader in the design and production of flow and level controls for commercial and industrial use, has produced a video summarizing the elements of the steam system that are good candidates for upgrade, as well as general direction on how to achieve increased efficiency for each. 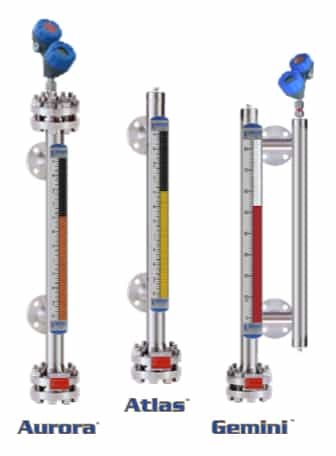 In keeping with the company's line of level and flow measurement products, the focus is on how accurate and robust instrumentation can improve overall system performance and generate a decidedly positive return on the time and funds invested. Invest a few minutes in the video below and learn how the operating efficiency of your steam system can be elevated with an instrument upgrade. There is a white paper on the same subject available on request. You can also receive a listing of the specific Magnetrol instruments that can be applied to steam systems, with a short description of where each is applied. Reach out to a product application specialist and share your steam system challenges. Combining your system knowledge with their product application expertise will yield the best solution. Float operated level switches are suitable for use on clean liquid applications alarm, pump control and safety shutdown applications. These float type units are typically designed, fabricated and certified to compliance with ASME B31.3 specifications. The design of float operated level switches is based upon the principle that a magnetic field will penetrate non-magnetic materials such as 316 stainless steel. In the case of a float type level switch, the float moves a magnetic attraction sleeve within a non-magnetic enclosing tube which in turn trips an electrical switch mechanism. The enclosing tube of housing provides a pressure seal for the chamber as well as the process. 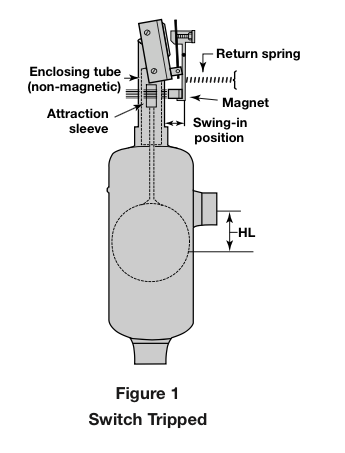 As the liquid level rises in the chamber (refer to Figure 1), the float moves the magnetic attraction sleeve up within the enclosing tube, and into the field of the switch mechanism magnet. Resultingly, the magnet is drawn in tightly to the enclosing tube causing the switch to trip, “making” or “breaking” the electrical circuit. 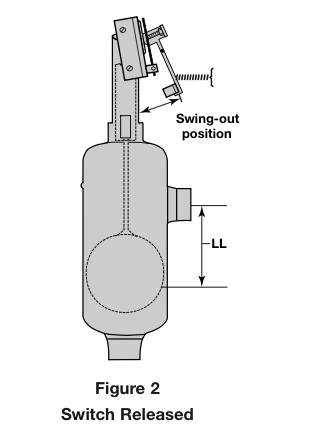 As the liquid level falls, the float drops and moves the attraction sleeve out of the magnetic field, releasing the switch at a predetermined “low level” (refer to Figure 2). The tension spring ensures the return of the switch in a snap action. Here is a short video that illustrates the use of several level control technologies - guided radar level, ultrasonic level and thermal dispersion - in hygienic applications. The video shows us the benefits of each technology and where the Eclipse, Echotel and Thermatel controls are typically used. The Magnetrol ECHOTEL utilizes ultrasonic energy to detect the presence or absence of liquid in a single or dual point transducer. Ultrasonic contact level technology uses high-frequency sound waves that are easily transmitted across a transducer gap in the presence of a liquid media, but are attenuated when the gap is dry. 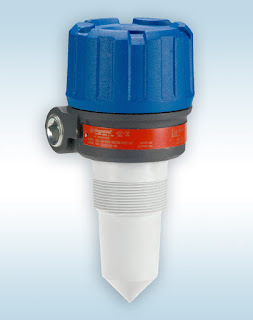 The ECHOTEL switches use an ultrasonic frequency of 2 MHz to perform this liquid level measurement in a wide variety of process media and application conditions. For more information on industrial level control, contact M.S. Jacobs and Associates. 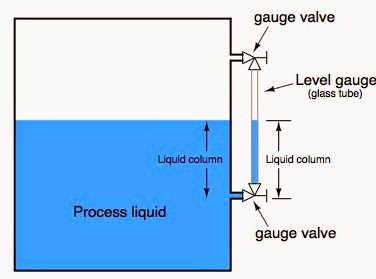 The simplest form of level measurement for direct measurement of level (almost always visually) in a vessel. A level gauge (sightglass) is usually a clear tube connected to the a vessel at the highest and lowest part of the level range. 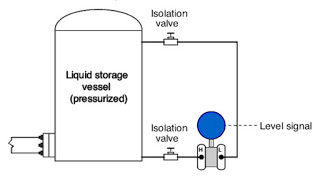 The fluid level inside the vessel will be at the same hight as the level in the tube.